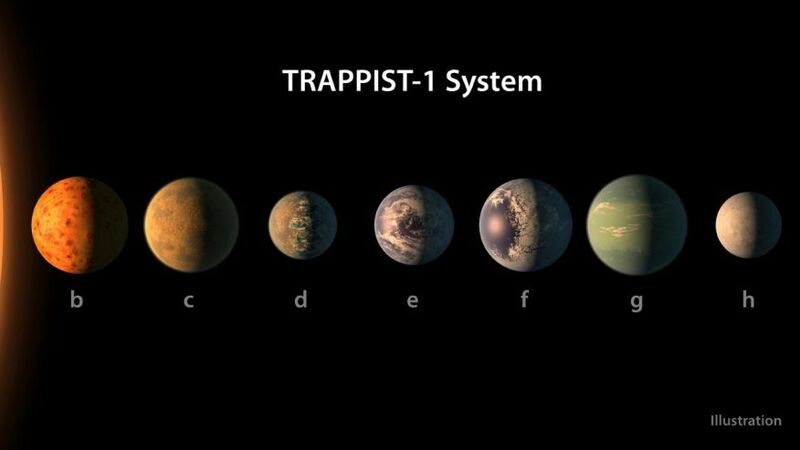 NASA announced on Wednesday that they have discovered seven new worlds like Earth near a star called TRAPPIST-1 in a new solar system outside ours. 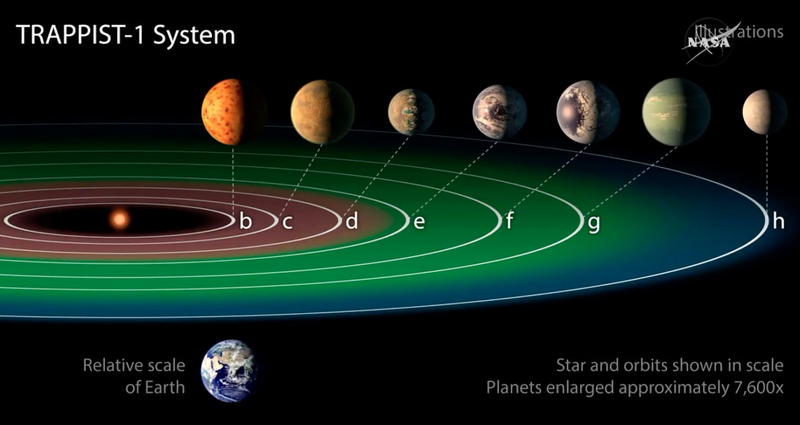 All the seven planets may have water but the three are in the "habitable zone", which means it have the highest chances of life there, The temperature may range from zero to 100 degree centigrade. - It is also possible that there may be alien life on any of these 3 habitual zone planets out of seven, It is about 39 light years far from our earth planet. - The TRAPPIST-1 star located in the constellation Aquarius is a ultra cool dwarf, It is so cool that liquid water may be on these planets. - All the seven planets are closer to their star TRAPPIST-1, It is so close that you can watch the other planet from one planet, in the size of moon or bigger than it. - It is also possible that those 7 planets are locked at one place, which means it may have only day at one side of the planet while the other side may have only night. 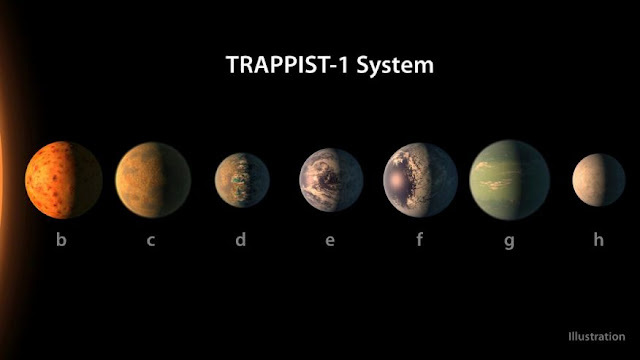 - TRAPPIST-1 became very important and hot topic now for future study, Scientists will soon able to search water and evidence of life in these 7 new worlds.